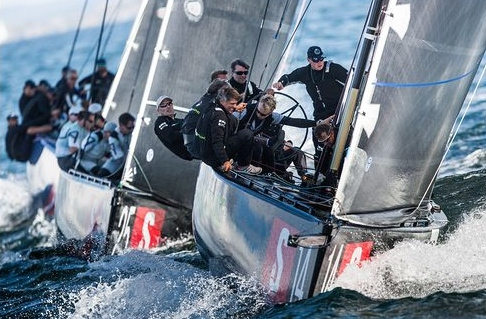 Three more races were held today at the RC44 Marstrand World Championship with a further three teams claiming race wins. Chris Bake’s Team Aqua is in the overall lead, just one point ahead of Bronenosec Sailing Team, followed by Charisma team. After two brisk days with strong, gusty winds from the SSW here off the Swedish west coast, there was a change in conditions for the second day of fleet racing with a lighter 10-13 knot northwesterly and a much reduced sea state. St Petersburg Yacht Club fans were rewarded in the opening race with its two teams, scoring a 1-2. After a disappointing start to the regatta, Kirill Podolsky’s Gazprom Youth Sailing Challenge came out of the blocks strongly and managed to edge into the lead at the top mark and extend away around the race course. Finishing immediately behind Gazprom Youth was her team mate, Bronenosec. Picking up high scores in this first race were Peninsula Petroleum, Artemis Racing and Charisma, all of whom had started prematurely and had been forced to restart. Of the three, Charisma staged the best recovery to cross the line in eighth. 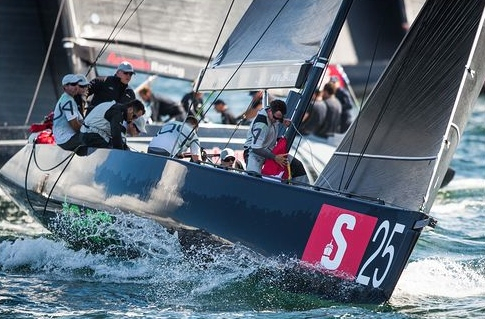 Vladimir Liubomirov’s sky blue RC44 continued the St Petersburg Yacht Club winning ways claiming race two. But it was a case of hero to zero for Gazprom Youth who were over the start line early and finished last. 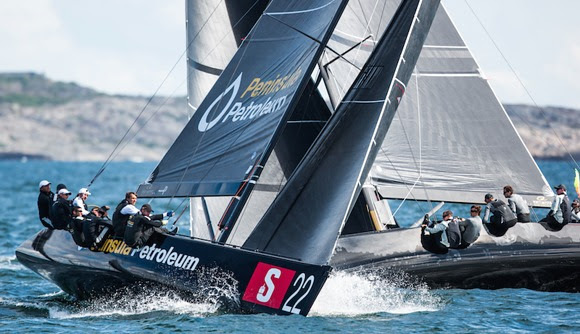 Current fleet racing championship leader, John Bassadone’s Peninsula Petroleum, started to show some of her expected form in today’s second race, coming home a worthy second to Bronenosec. 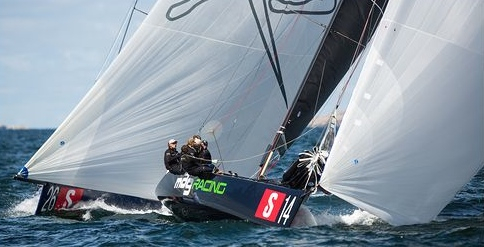 The Gibraltar-based team then went on to claim victory in race three, with the race committee finishing the boats in Marstrand Fjord. 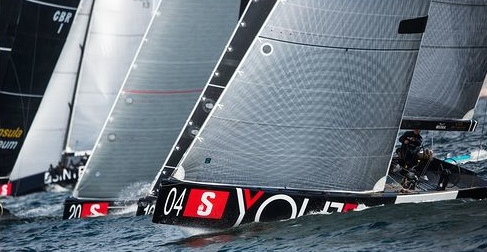 “I think we sailed a bit better today as we haven’t been sailing so well this week so far. Not being over the line helps and we had a few other little things go wrong. Hopefully we are improving and will keep on improving,” Bassadone said. “We are strongest in the middle wind conditions like we had today, with little waves, but first of all I have a dream team. It was because probably we had two much tension after the first two races. Champions should be calm, more steady, but I am very happy today,” Vladimir Liubomirov said. “The boat was going fast today. A couple of times we sheared off from everyone just in terms of pure boat speed and upwind in particular we were flying across the shifts,” said Bronenosec’s Italian tactician Michele Ivaldi of Liubomirov’s performance. Despite leading overall Team Aqua hasn’t won a race over the last two days and owner Chris Bake acknowledges that his team’s performance is down to ‘not having mucked any one race up too badly’. 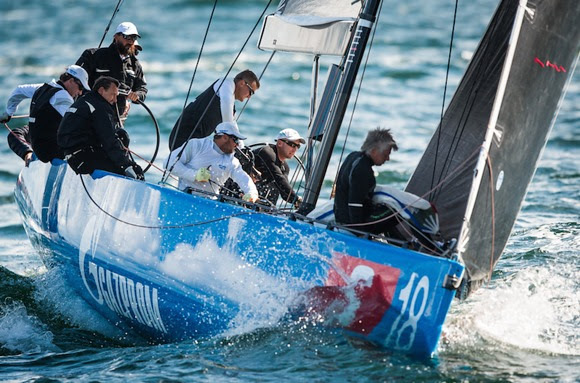 Also hoping to make a late charge is Artemis Racing’s Torbjörn Törnqvist, currently lying sixth overall. 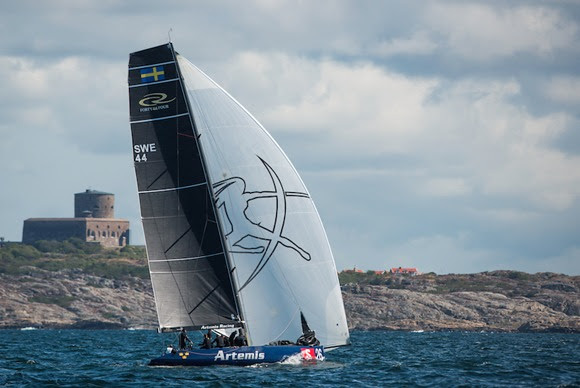 As the Swedish entry, Törnqvist is effectively the regatta’s host and is pleased that this World Championship is taking place in Marstrand. Törnqvist has the added challenge this week of only being able to steer his boat with his right hand, as he is recovering from an operation on his left arm, which he is not allowed to use. “It is great that we do it here. It is a nice place. I was just hoping to do a little bit better than we have done so far. It is nothing specific, just small things. We try to work on it,” Törnqvist said. Racing continues tomorrow with the first warning signal at 11:30am local time.